Friends, I'm writing a book! 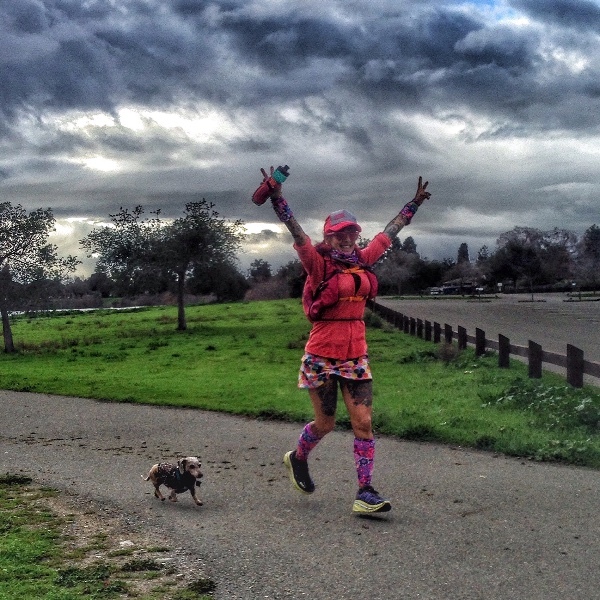 For years you guys have been asking me to write my story about leaving my life as a drug addicted, drug dealing, goth girl to become a sober, vegan, colorful ultra-marathon runner, so I’m finally doing it! No fear! Nothing to hide! 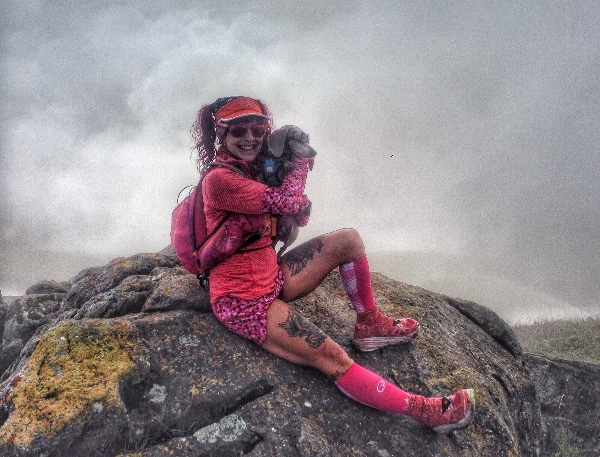 I’m going to tell you what it was like to be arrested for drug dealing, how hard it was to leave my friends and family behind on the search for a new life, how I went from couch potato to running ultra-marathons, what happened when my friends Julia, Mike and I nearly died at the top of a mountain during a training run, and loads more. When you’re a 51-year-old tattooed chick, people often think they’ve got you figured out before they know you, but there’s way more to me than bright pink hair and I can’t wait to share it with you. And of course, we can’t forget TruMan–my running buddy and an essential part of the story. TruMan came to me from living conditions so terrible that the vet said he'd always be a little broken. But through love and rehabilitation Truman found his feet and has since run alongside me over a hundred times. We saved each other, and this is as much his story as it is mine. I want to tell this story to inspire people (and Doxies) from all walks of life. It is totally possible to turn your life around (even if for you that doesn't involve running ultra-marathons!) I also hope our story will encourage people to take a chance and think about rescuing a dog who's been through a hard time–it might just be the most rewarding thing you ever do. If this is the first time you’re meeting TruMan and me, hi! You can learn more about us here , on Facebook and on my blog . TruMan and I will be putting your donations towards creating a book proposal to send to publishers. We can't thank you enough for your support. Hi friends thanks to all of you who have donated and shared my page. We are almost there if you can spare a little money to help get us to the 5000 mark that would be awesome. 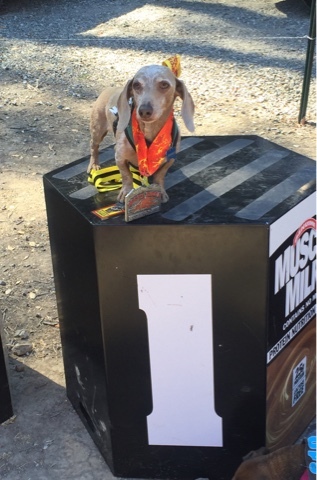 TruMan ran the Fremont 50k course in 7:13. 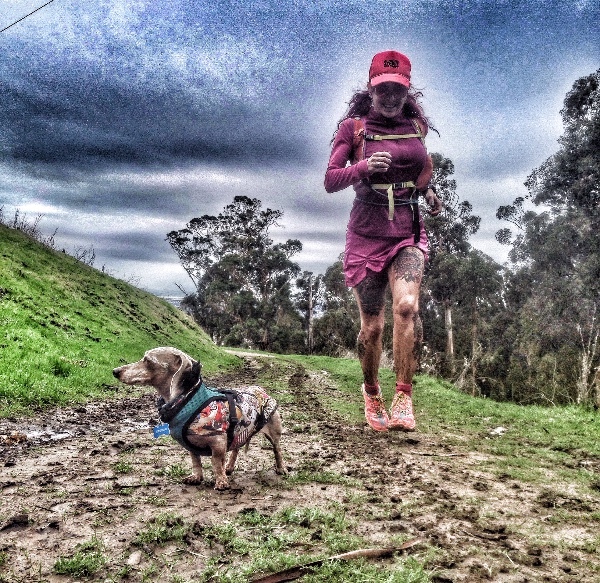 How many dachshunds do you know that can run a 50k? The first part of his life was not all rainbows and sunshine. He was fearful of everything and everyone 3 years ago . But through love, trust and trail running TruMan became the amazing little man he is today. Thanks friends for all your help! We have almost reached our goal! Please read below why I need to raise money for this project. 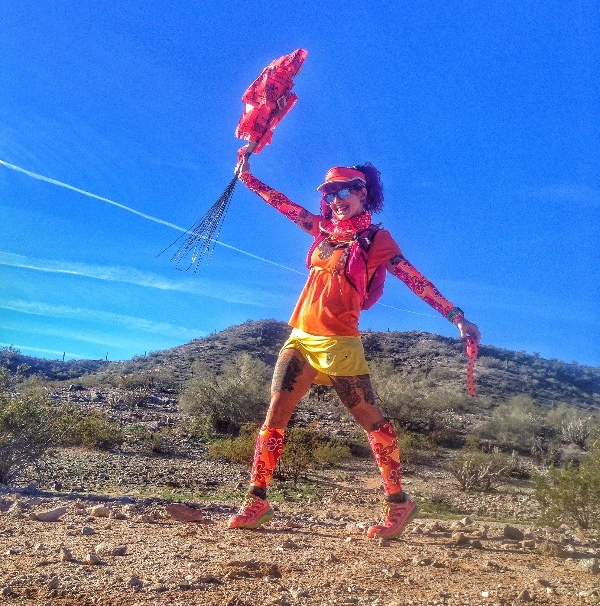 I'm in Arizona this weekend to run Coldwater rumble 100. Today I helped mark the course and tomorrow I will volunteer at the start finish to help set up. I enjoy giving back to our sport. Hopefully you can donate , any amount is not to small. We are so very close to reaching our goal. Thanks to everyone for all your help. TruMan and I are very grateful. Thanks to all you amazing people who have donated. We are getting there. Please help donated if you can it can be a small amount. Any amount will help. Please read about the book project. I'm excited to get this going. This book will be about my life the good , the bad and the ugly parts from my past. I know it will help so many people. If you can't donate please share the link. Good luck reaching your goal. I've enjoyed reading about your story (you were in Born to Run, right? ).